If you look up at the top of the Science for All site, you will notice a new Page titled CCSS/NGSS. This page is intended to provide links, tools, and resources for teaching and learning about the Common Core State Standards and the upcoming Next Generation Science Standards. 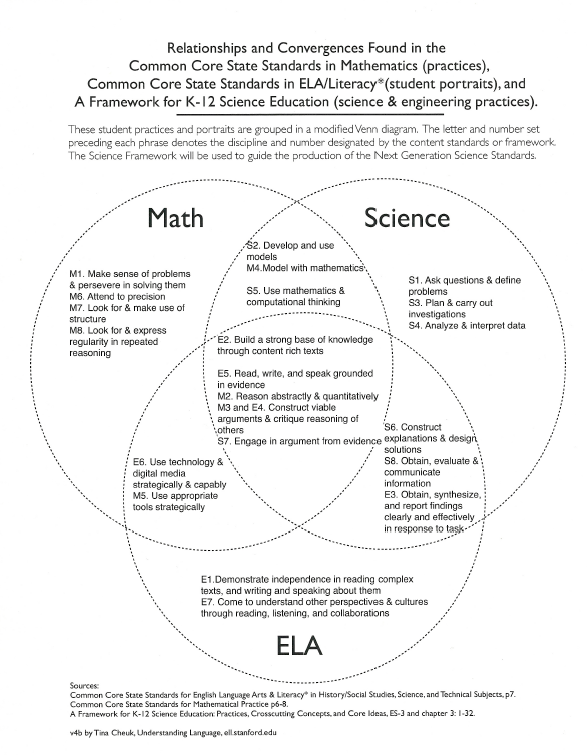 Click HERE to download a 1 page diagram that shows the connections between the CCSS Math Practices, CCSS ELA, and The NGSS Practices of Science and Engineering.